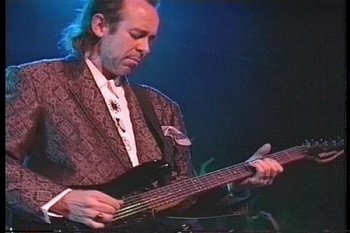 Guitarist Phil Manzanera remembers very clearly how and when he first met the band that would give him his career, Roxy Music. “Yes, I failed the audition,” he says about that day in '71when he went to a house in Battersea and plugged in his Gibson ES-325 (“unfashionable for Roxy Music”) to play alongside singer Bryan Ferry, knob and tape twiddler Brian Eno, saxophonist Andy MacKay, drummer Paul Thompson and the band's original bassist Graham Simpson. So far so obvious. 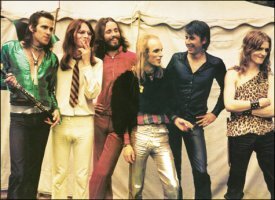 But given Roxy Music's glamorous implosion of 50s rock'n'roll, oddball sonic squiggles from Eno and post-modern whatever-fits sound of their self-titled debut album of 72 it's hard to imagine what you might have to play at an audition. “It was two chords from a Carole King number and I'm thinking 'Two chords? I've just been playing eight bars in 7/15 time or whatever' and I thought, 'Freedom! This is wonderful, I didn't need to count time signatures I could just blast away and do mad things'. “And that is probably why I failed the audition,” he laughs. 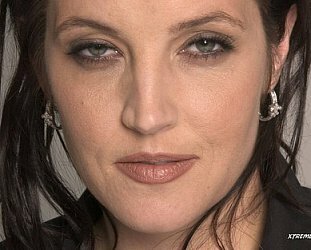 Manzanera – the son of an English father and a Columbian mother, and who grew up in various parts of South America and Cuba – was miserable at being rejected, kept bumping into the band at concerts and got to know them, acted as their roadie for a bit and got then got the call-up before Roxy Music' astonishing debut album. 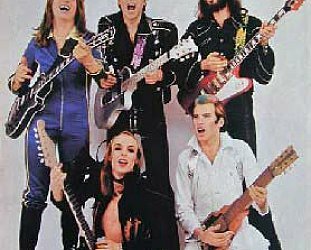 Roxy Music were very special. Their first three albums in glamorous gatefold covers – sultry models on the outside, the band posing in retro-spacerock clothes on the inside – brought a sense of glam-retro and art-school cool into play. And, as Manzanera admits, dressing up gave them confidence on stage for what they were unleashing. He remembers discussing films with Ferry at that audition and realising the band wanted to present their music in a visual away. A someone who had been in the film society at school he was immediately attracted. “And they all had friends who were starting out as fashion designers, photographers, art directors, all in their mid 20s. They were people who wanted to be the next generation in that gap after David Bowie. And set apart also: Roxy Music avoided singles, presented their albums and shows like art concepts, Ferry famously fired Eno (or he quit) after two albums for being a “non-musician” which he took as a compliment, various bassists passed through and by the mid Seventies they were a dominant force in music and fashion. 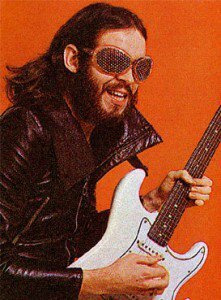 With Ferry garnering so much attention it was inevitable he would record solo albums – as did Manzanera and MacKay – and they broke up in 76. And in the late Seventies as punk and New Wave were getting a foothold a highly favourable Rolling Stone review of a Manzanera solo album called him “the world's last psychedelic guitarist”. 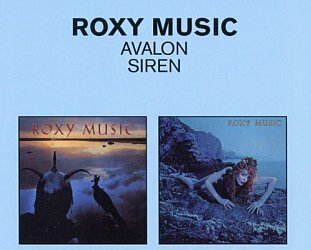 Roxy Music reformed around the same time as that Stone review, but the sound of the albums – Manifesto, Flesh + Blood and Avalon -- was cooler, more pop-orientated and with a glassy production sheen. They split again in 83 – Ferry into a successful solo career, Manzanera making solo albums and doing production work – and then against the odds reformed in 2001, again in 2005 when there were hints of a new album, and now they are on the road again. 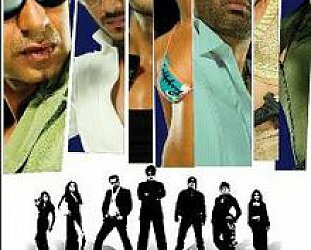 It seems fair to ask, given all have successful careers outside of Roxy what the attraction is to keep getting back together. “The reason I got into music,” says Manzanera “was I always envied families with lots of kids and when I was nine or ten it was 'please send me to boarding school'. I just want to be with people and I formed a band at at school and it was the social side I enjoyed as well as the musical conversations with people. “With Roxy it's the songs. It does all come back to music every time, whatever grievance or disagreements you might have about anything, it gets you the minute you start playing some of those songs like In Every Dream Home a Heartache, Remake/Remodel or something from the latter period. 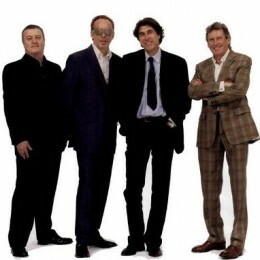 These days Roxy Music are cited as influences by bands as diverse as the Scissor Sisters and Arcade Fire – with whom Roxy have played at festivals, them on a A stage, Roxy on the B – although Manzanera says he can't hear any direct musical connections. Manzanera holds great affection for New Zealand and some of its musicians in particular. He recalls a tour to Australia in the mid Seventies and seeing Split Enz on television in his hotel room. That night, to his surprise and delight, the Enz opened for Roxy Music and he watched them from the side of the stage. “After they came off I went back to their dressing room and said, 'You guys are mad and brilliant, if there is anything I can do to help . . .' Then later they rang and said they were doing their first album but would I produce them in the future, and as it turned out they ended up coming to England and we re-recorded a lot of the first album Mental Notes. 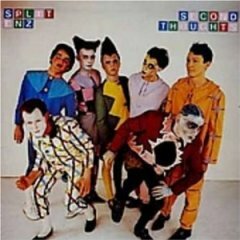 That album appeared as the Enz' Second Thoughts album of '76 which became their debut in Britain. Although separated by years and distance, there are parallels between Roxy Music and Split Enz: both brought a sense of theatre to the stage, made complex music, and both enjoyed two quite distinct phases, the early dress-up period and the later pop-conscious albums. Various Enzmen played on Manzanera solo albums down the years (he has made almost 30) as well as recently writing and co-producing On an Island and Live in Gdansk for Pink Floyd's David Gilmour. As to that mooted Roxy Music album of 05 with Eno briefly back in the ranks? Some tracks ended up on a Ferry album (“I haven't heard it, I'm told it's good – I've written a track on it apparently”) but most of the material was unfinished and everyone moved on to other things. 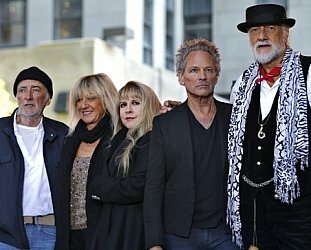 “But very few band of our age have got together and done albums that are considered to be one of their best. It's quite daunting task. I've produced over 60 albums so I know what a fantastic song is. If you do something and think 'It's pretty good'. But is it amazing? The answer is no. “You try to win over an audience and it's good for you. You are putting yourself and the music on the line.